Founded in 1885 by the Congregation of Holy Cross, St. Edward's University is a private, Catholic liberal arts institution of more than 4,800 diverse students located in Austin, Texas. 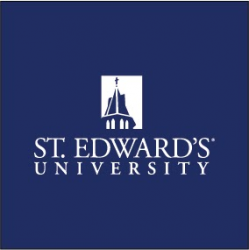 St. Edward's emphasizes critical thinking and ethical practices, as well as small classes, personalized learning and exciting internship opportunities. The community atmosphere extends to the approximately 800 faculty and staff who work together to make the university a welcoming yet challenging environment for students.